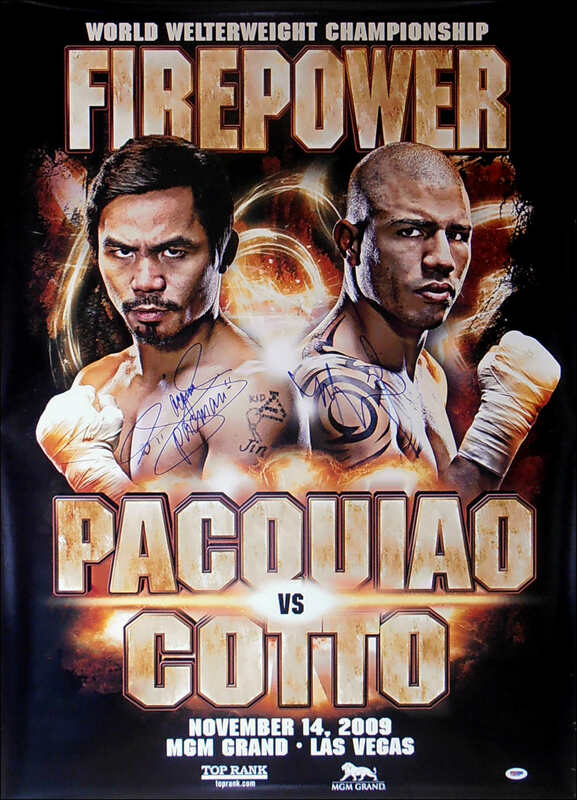 Description : Here we have a bespoke souvenir glove imaging the MGM Grand onsite main event fight poster for the showdown held at the MGM Grand garden Arena Las Vegas, for the WBO Welterweight Title. 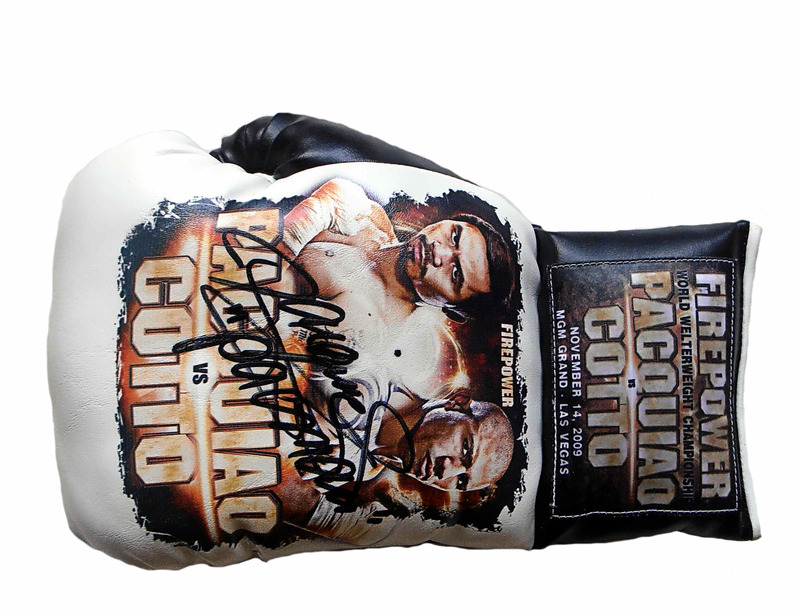 This glove has been signed by Manny Pacquiao. This glove was signed by Manny Pacquiao in Manila at one of his many public signing sessions at one of the chain of sports shops that he now owns in the Philippines. 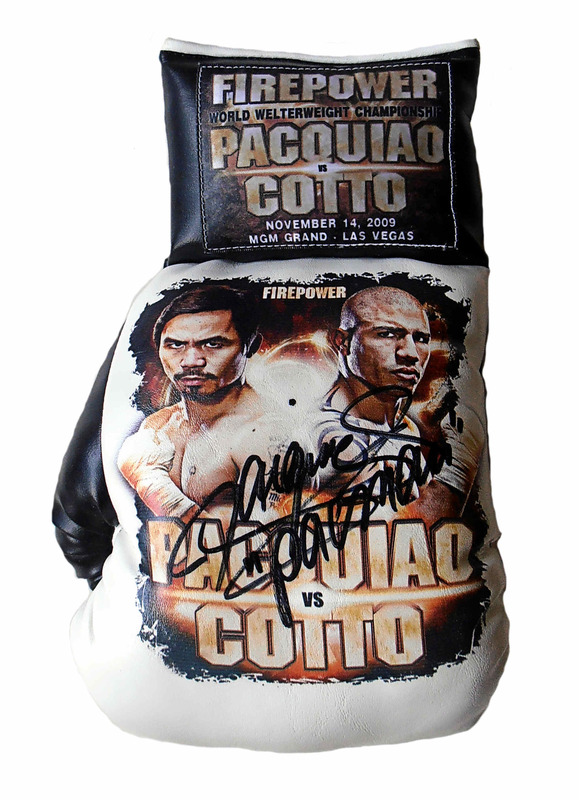 This glove comes with the COA from "Team Pacquiao" along with a lifetime and beyond guarantee of authenticity from KOfightposters.com.